Above all things, I want Jamie Roberts, the man Yvonne Nelson gave birth with out of wedlock to stay with Yvonne, for the sake of the child—and also, to help tame her aggressive bitterness and delusion that she’s better than every woman and deserves any more than it’s on her plate. Moreover, I know Yvonne Nelson would want to give her daughter what she did not have around as a girl growing up—a father. 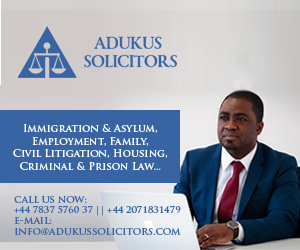 But a London-based Ghanaian friend, whom I’ve known for over 10 years and has enjoyed more than 9 short and long term relationships with white men and has 3 mixed race children of different fathers has loudly told me over a glass of Mojito that Yvonne Nelson seems to be naive when it comes to these “white men who are purposely into black woman”. According to Naomi, there is a certain train of white men who have some sort of fetish to be with only black women and those are not cut for long term relationships. 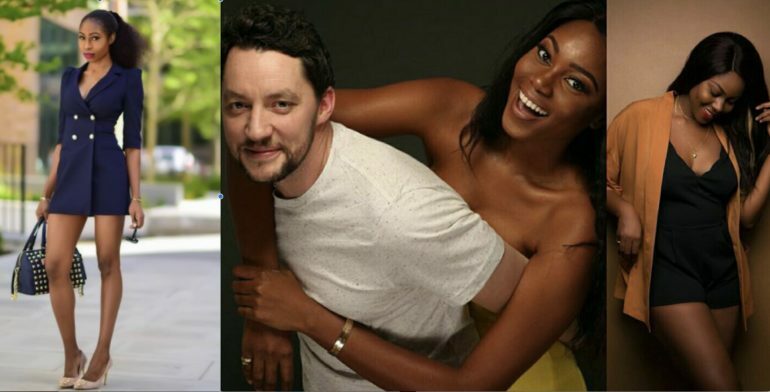 And that, from looking at the photos Keela Harrison, the Nigerian woman Jamie married that Yvonne Nelson is alleged to have snatched him from, it’s apparent “what this white boy wants”—tall legs, slim body and Instagram type of black women. “Such white men hang around at black folks’ night clubs and bars and only date black women. Mostly, there is a hidden self-fulfilling motive and my experience has taught me that, they are not cut for long term relationships,” Naomi said as she picked a floating leaf out of her drink. From her over a decade experience of hitting the bedroom with white men in London, Paris, Amsterdam and Berlin, Naomi was confident that she knew what she was talking about and in a matter of fewer than 24 months we will hear that the relationship being served to the world on social media has ended. And the bubbly, perhaps, paranoid Naomi said she has a clear trait that gives these white men who are solely into back women for moments out—that’s, they are mostly jobless or are not into any properly defined jobs. “They claim to be painters, musicians, photographers, travellers or models,” she stated. When I probed to find out what she thinks the obsessions of these sort of people she claims to have met with black women are, she said; “it’s mostly individualistic but generally a fetish.” Whatever that means, I couldn’t get it any better than captured here. There was a second layer of the conversation that I sort of agreed with because of how things have played out so far.